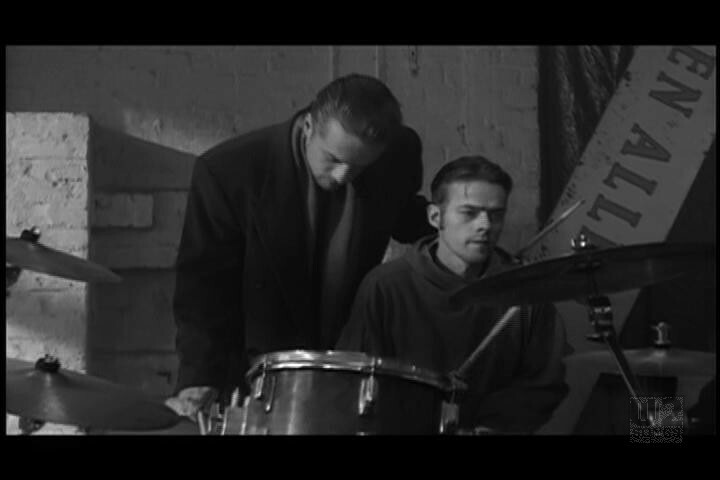 Ned O’Hanlon in an online chat revealed that Wim Wenders directed this video with Mark Neale, but others sources of credits for this video only list Wenders involvement. The video opens in black and white with a scene on a bus at the Brandenburg Gate in Berlin. This extended intro features the band on the bus in Berlin, with whispering in German, and one gentleman playing with a small wind up music toy. As the camera pans to the Edge taking the toy, the song kicks in. Often MTV would edit out this introduction to the video. The bus is the N10 bus and is going to Zoolog: Garten. 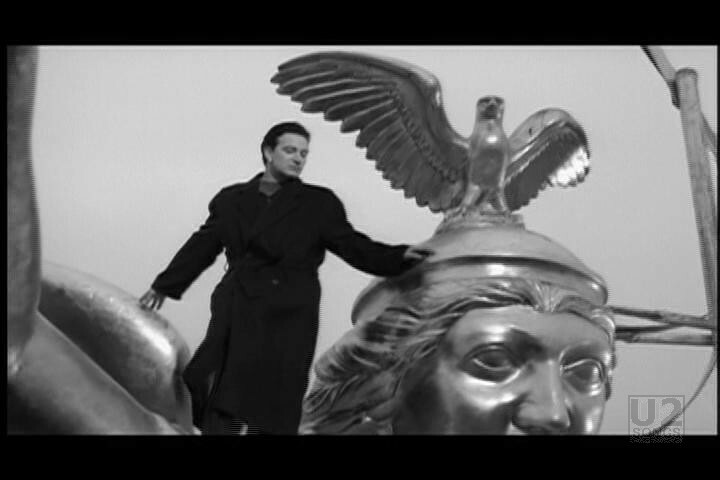 We later in the video go back to Berlin, with scenes shot from the air around the Victory Column (Siegessäule) and we see Bono standing on the statue. Later we see all of the band on the statue. We switch from the scenes in the bus to a scene of a young band performing in a garage. All of U2 is there as invisible “angels” helping the young band play. Meret Becker is the female vocalist in the band. 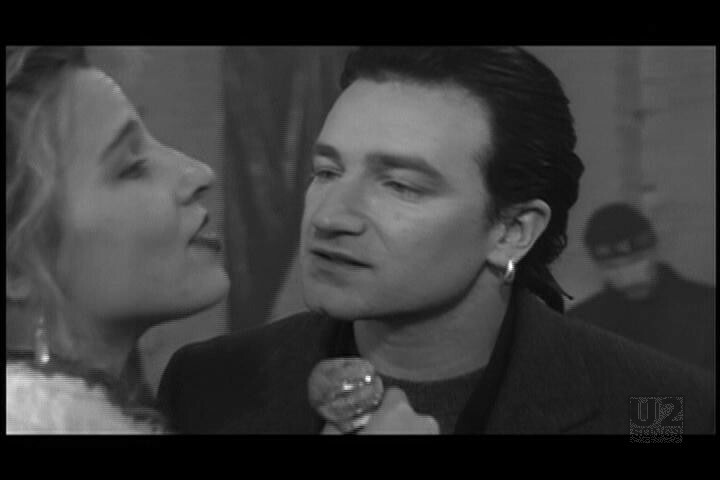 Wenders “liked the idea that Bono’s voice would be sung by a girl in this video.” Becker is the step daughter of the actor Otto Sander, one of the lead actors in the movie Faraway So Close. Some scenes are taken direct from the movie Faraway So Close. This movie by Wim Wenders featured two U2 songs on the soundtrack, an alternate mix of “Stay” and an alternate mix of “The Wanderer”. The movie itself ties into the video in that the movie features two angels who have taken an interest in the life of residents of a reunified Berlin. 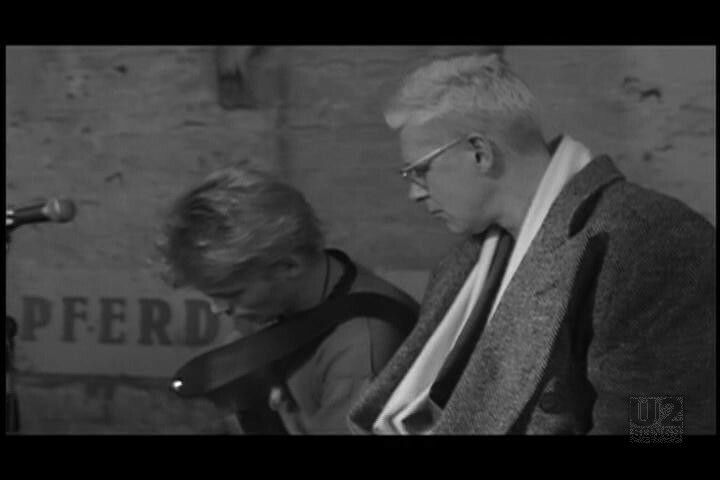 The video was filmed over three days in October 1993 in Berlin. "U2 - “Stay (Faraway, So Close! )” Single"
"U2 - “Stay (Faraway, So Close! )” Promotional Release"